The cool blue mosaics of Isfahan’s Islamic buildings, and the city’s majestic bridges contrast perfectly with the hot, dry Iranian countryside around it . 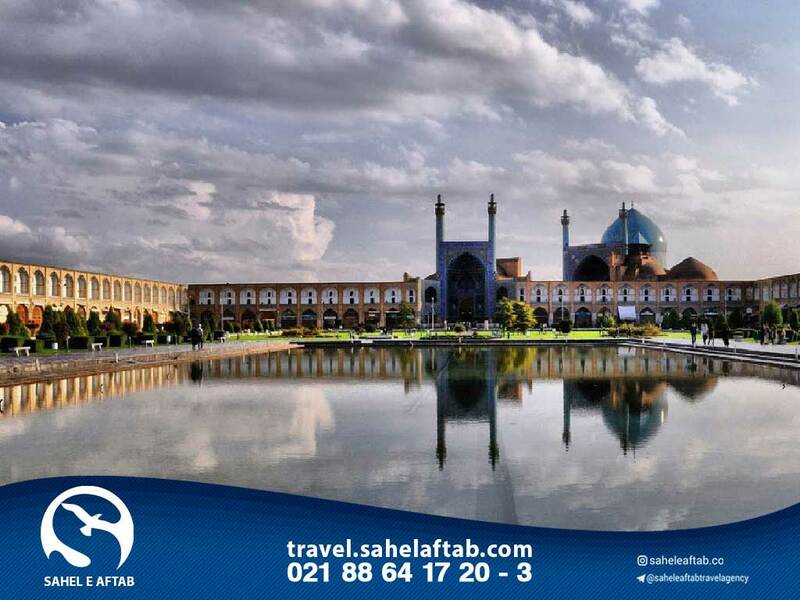 Isfahan is a sight you won’t forget. Not only is the architecture superb and the climate pleasant, but also there’s a fairly relaxed atmosphere here, compared with many other Iranian towns. It’s a city for walking , getting lost in the bazaar, dozing in beautiful gardens and meeting people. The famous half-rhyme Isfahan nesf-é jahan (Isfahan is half the world) was coined in the 16th century to express the city’s grandeur. There’s so much to see that you’ll probably have to ration your time and concentrate on must-sees such as the Emam Mosque, a magnificent building completely covered in Seaman’s trademark pale blue mosaics; Emam Khomeini Square, one of the largest town squares in the world; the Chehel Sotun Museum & Park, a marvelous 17th century pavilion and a great place for a picnic; and the Van Cathedral, the historic focal point of the Armenian church in Iran. Taking tea in one of the teahouses under the bridges is also an essential part of the Isfahan experience. Isfahan is about 400km (250mi) south of Tehran. Several flights make the trip daily. There are buses, usually overnight, to Tehran, Shiraz and other domestic cities, as well as to Istanbul. The express train between Isfahan and Tehran might be a preferable alternative to sitting all night on the bus.